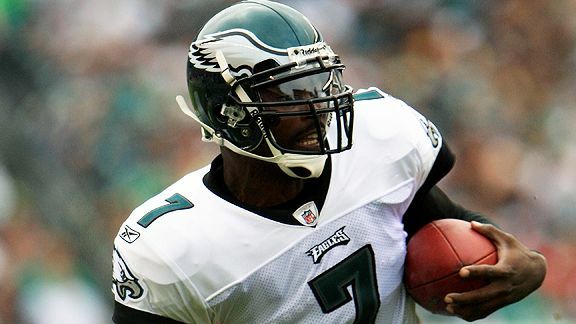 Quarterback Michael Vick has been with the Philadelphia Eagles since he was released from prison in 2009. Vick’s time with the Eagles was a roller coaster ride to say the least, that usually ended in an injury for Vick. In 2009, Vick backed up long-time quarterback Donovan McNabb until he was forced out of town and signed with the Washington Redskins the following season. Vick started just one game in 2009 and threw for one touchdown and ran for two more. 2010 was perhaps Vick’s most productive season ever as a passing quarterback. Vick was in competition with Kevin Kolb, but eventually ended up beating out Kolb and took the Eagles to the Playoffs but lost to the Green Bay Packers, who went onto win the Super Bowl. Vick finished with 21 touchdowns, six interceptions and a passer rating of 62.6. From there, Vick’s time with the Eagles gradually went down hill, as he continued to miss more time with injuries. In the 2013 season, another Vick injury made the Eagles find their franchise quarterback of the future in Nick Foles. Now Vick will be a free agent next March after signing just a one-year deal with the Eagles last offseason. Even with his background of injuries, Vick still has a bit of a market. 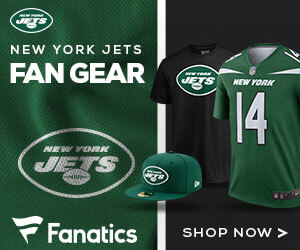 According to NFL Network’s Ian Rapaport, the Jets seem intrigued by Vick and are a “legitimate” possibility to land Vick. Rumors have already leaked about the Jets flirting with other potential free agents, like wide receivers Jeremy Maclin and Emmanuel Sanders. Other reporters are saying that a Vick signing is unlikely because of the distraction Vick brings to a football team. Vick, however, has ties with offensive coordinator, Marty Mornhinweg. This headline will either catch fire or die quickly seeing that free agency is set to open in just 16 days.